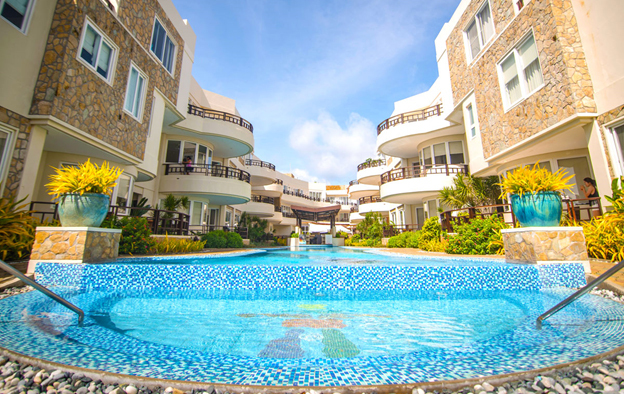 As a world-famed vacation destination, it’s easy to get to Boracay, making it possible for you to actually have that weekend getaway on the island. There’s just so much to do on Asia’s 24/7 island, you may not be able to experience everything. 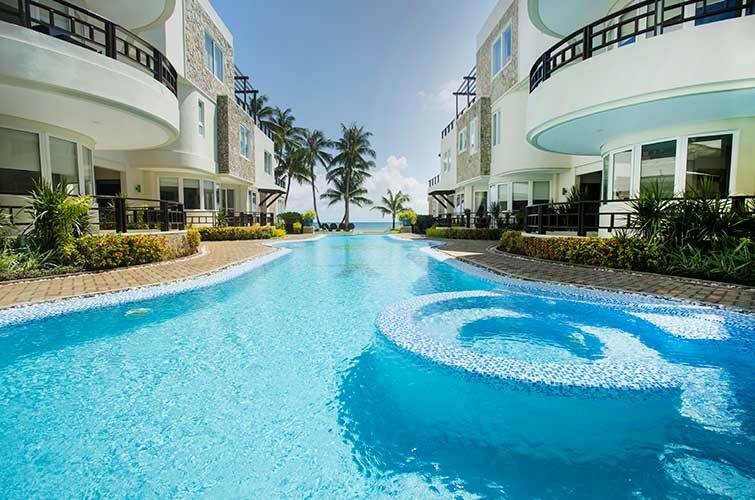 Yet, a weekend is still enough to make the most of your Boracay trip. If you have 48 hours, here’s an itinerary to cover the hot spots and activities you shouldn’t miss. Arrive early in the morning in Kalibo or Caticlan Airport. Upon arriving on the island, stash your bags at the hotel or hostel you have booked. Some hotels only allow check-in at 12 PM but most of them allow you to leave your bags so you could go around without any baggage. Ready your flip flops and start the day. Grab your breakfast as you will need the calories to fuel your day. Choose a beachfront restaurant to get a view of the beach while sipping your cup of coffee. Don’t rush yet, and have some time to appreciate the beauty that’s in front of you. Since it’s a bit late for an island-hopping tour, start your vacation with a land tour around the island’s iconic spot. Start the tour at Mt. Luho to get a 360 view of the island. Rent a motorcycle or tricycle if you’re with a group to Mt. Luho, located near Bulabog Beach. Prepare at least PhP100 for the entrance fee to the view deck area. Since it’s the highest point on the island, you’ll actually have to climb some stairs, but will be rewarded with a breathtaking view of the island. At Mt. Luho area, you can also try zip line and sky cycling activities or ride an ATV (all-terrain vehicle (ATV). After Mt. Luho, you can head over to Sitio Hagdan in Barangay Yapak to try kart racing as well. If you prefer to get wet early, try some water activities; just head back to the White Beach in Station 1. Of course, you don’t skip water sports activities during a Boracay holiday. A regular banana boat ride is just PhP250 per person for a minimum of five people. If you’re traveling alone, that’s not a problem since you can just join other groups. You can also try flyfish or even a jetski ride. If underwater adventure is your thing, that’s also possible as you can just easily book a helmet diving activity. After a busy morning, have a sumptuous lunch. 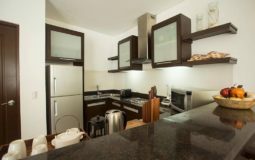 Well, the option is long but one thing you should experience is the paluto (cooking service) on the island. If you want the same experience, there are paluto restaurants at E’Mall Talipapa in Station 3. 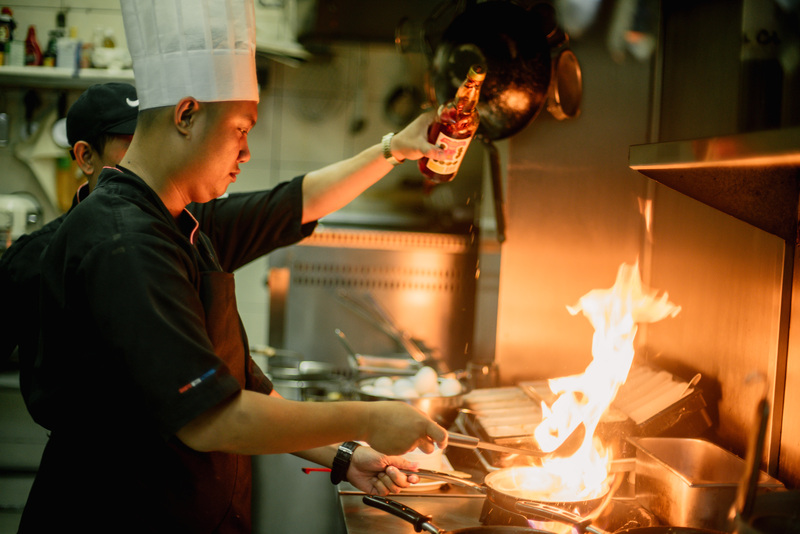 Buy your choice of seafood, meat, and vegetables and have it cooked the way you want it. 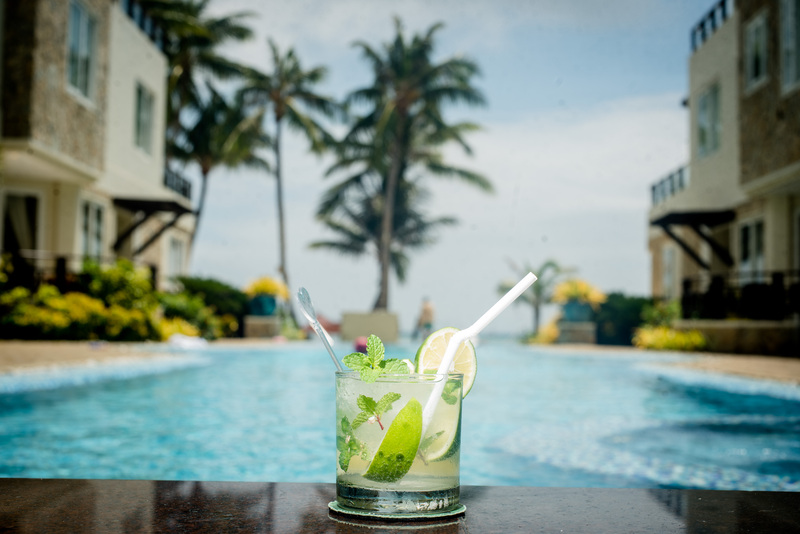 To regain some energy for the later part of the day, head back to your hotel to have some siesta time. After a refreshing break, try some popular snacks on the island while enjoying the view of the beach. Try the famous chori (chorizo) burger from any of the food stalls along the beach or get the popular banana peanut choco shake to quench your thirst while waiting for the sun to set. 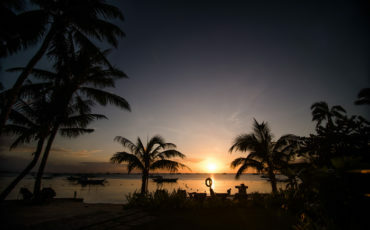 To enjoy the sunset best, also try a 15-minute parasailing activity or experience paraw sailing. Experiencing golden sunset on a relaxing boat ride is one thing you should not miss! After the sailing, you might wanna head back first to your hotel to get some rest and prepare for dinner. You can go for buffet dinners, have a fancy dinner in a restaurant or just grab something in fast-food chains on the island. But choosing local restaurants is still the best option. After dinner, get some booze and enjoy the island’s happy hour. Get some discounts in some bar for your drinks on their respective hours. You can also join a drinking spree and bar hopping activities, but always in moderation. Just get enough some rest for the next day. Waking up early when you’re on vacation has its own perks. 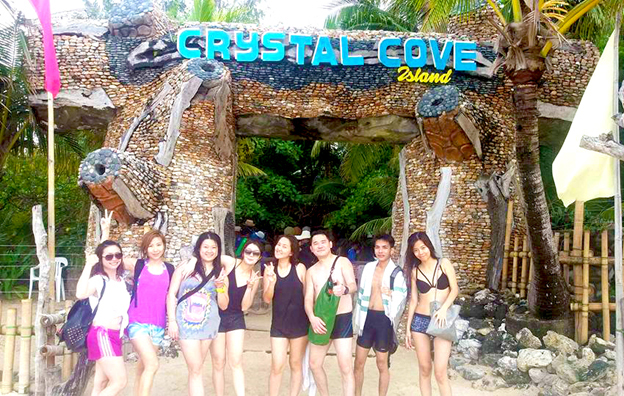 Enjoy the 4-kilometer White Beach with a lesser crowd. After the long walk, have another filling breakfast for a busy day. You will spend six to eight hours of your second day for the island hopping activity. The activity starts at Station 1 of the White Beach. 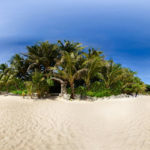 The island hopping activity includes a tour encircling the island and visiting nearby spots like Crystal Cove, and Magic Island where you can try cliff jumping. The tour also visits other beaches on the island like Puka and Ilig-Iligan. You can also try snorkeling and meet some friendly fishes. 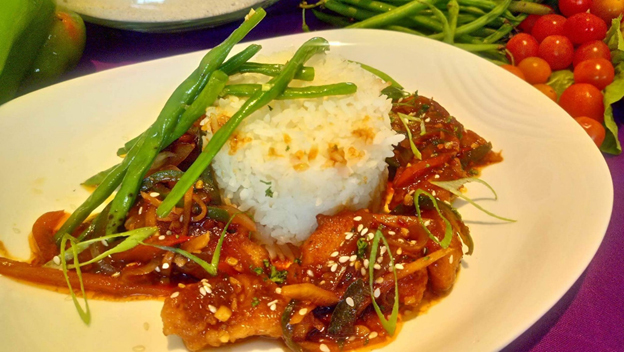 The island hopping activity also includes fulfilling buffet lunch usually with Filipino dishes. What more can you ask for? After the activity, the boat goes back to Station 1. Upon returning from the island hopping, you can opt to swim more at the White Beach and wait for another sunset. Watching how the sky folds into the darkness is just a perfect sight to cool down. You can also use this time to buy some souvenirs for family and friends back home. After taking a bath from the tiring day, it’s better to pack your things already for your takeoff the next day. Packing early will make you cram less and so you won’t forget any of your stuff. Since it’s your last night, dress up and find another good place to eat. Whether you’re in a group, with your special someone, or just alone, spend the night in a fancy restaurant is never a bad idea. Pair it with a glass of wine or any drink you like for a delicate finish too. 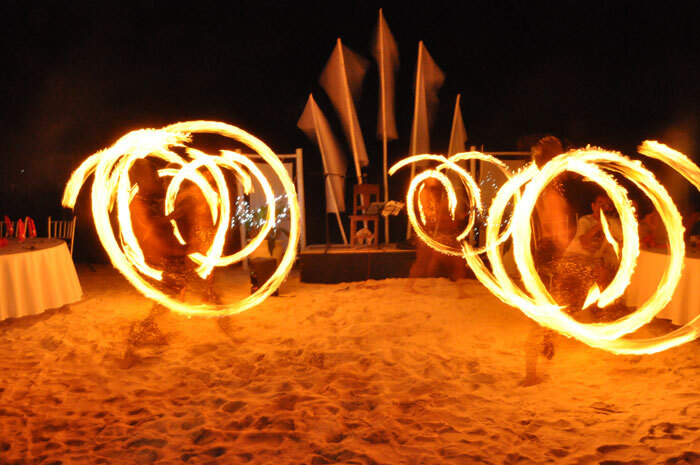 Take some time to witness a fire dancing performance while having dinner or even after that as well. To cap your holiday, have a relaxing massage too. It’s a perfect way to release the stress and to fully feel lighter after the hectic two days. You can also have a massage in your own hotel, at the beachfront, or go to a massage place if you prefer. A relaxing moment is what you will need for a good night sleep before going back to reality the next day. After 48 hours on the island, it’s now time to fly back home. Yes, you can actually do so much and still have a memorable holiday even just for two days. So go, book that trip now and get a tan! 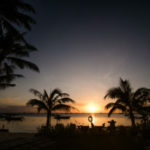 With its powdery white sand, turquoise water, and wild parties, it’s not impossible for a small island in the heart of the country to win the hearts of millions of tourists each year. No wonder, it’s always dubbed as one of the best islands in the world. 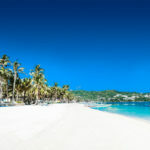 With its paradisiacal beauty, Boracay, an island of only over 1,000 hectares is getting enough attention from the world. However, it often overshadows its mother province of Aklan and its neighboring islands. Yet, some of these places are also worth a visit and surely could be at par with the island’s beauty. When you think you need a little extra experience during your beach holiday, keep an eye on these nearby places you can explore. 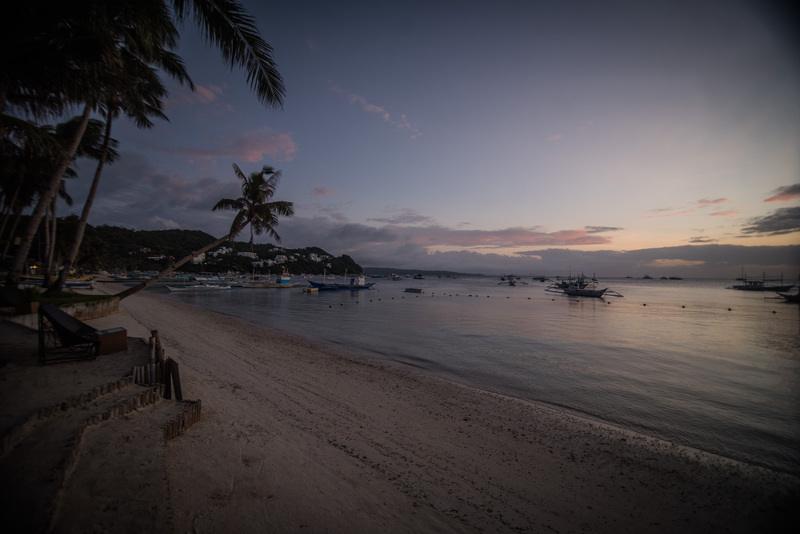 Most people know Boracay but only a few know its mother town. 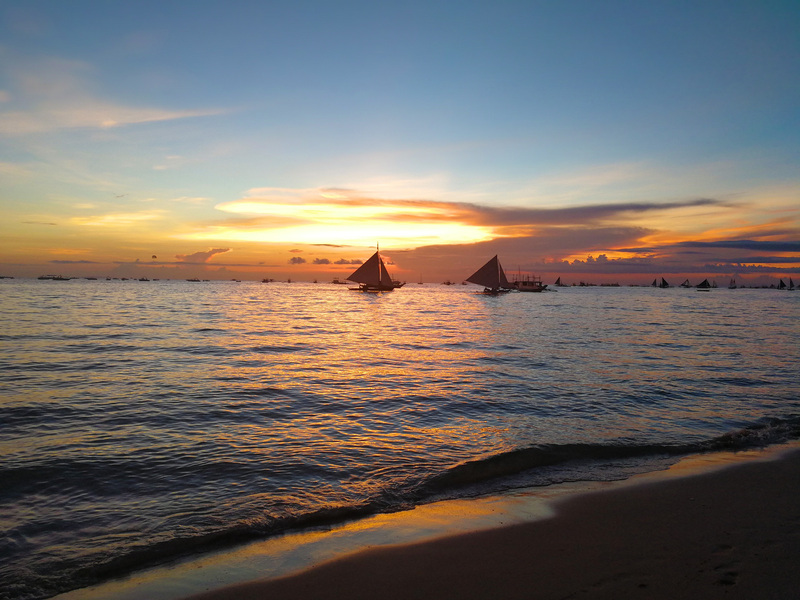 Boracay, composed of three villages is actually part of Malay town. And in a small village on the mainland, you can actually travel back in time. Malay is really more than just Boracay. It is actually home to the only interactive cultural museum in the Philippines – the Motag Living Museum. It is located in Barangay Motag, about 10 minutes away from Caticlan. It is an interactive farmer’s village where tourists can witness and likewise experience how people of Malay lived before. Old and young local people of Malay showcase the different stages of the farming cycles to visiting tourists. Guests, on the other hand, can try plowing, harrowing, and other farming methods and even or ride a carabao. Guests are also treated to folk songs and can even learn how to dance the tinikling (a traditional Filipino bamboo dance). Of course, local delicacies such as suman or rice cake are also served to guests. They open from Tuesday to Sunday. Entrance fees are at PhP700 for adults and PhP300 for children or PhP1,600 for a family ticket (two adults and two children). A half day tour to the place is possible so why not give it a try. The place is even recommended by the Philippine Carabao Center and the Philippine Conservation Society. Mainland Malay is also home to one of the cleanest rivers in the country. About 30 minutes away from Caticlan Jetty Port, you will find Nabaoy River – a crystal clean river stretching the village. Along the riverside are huts and restaurants that offer native dishes and delicacies for tourists. With its calm water, the river is a favorite spot for swimming and even rafting for some. The mainland also has its own touristic eco-park. 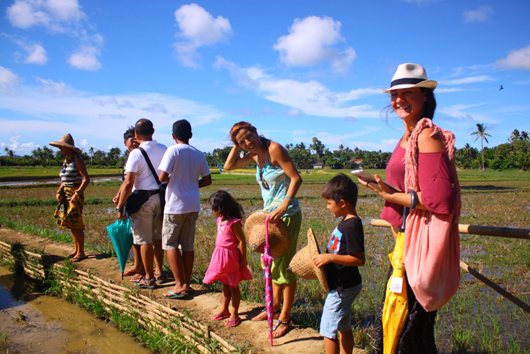 Tourists will surely enjoy a walk inside Malay Eco-Park located in Argao village. The sanctuary is planted with fruit bearing trees and surrounded by colorful butterflies. The park likewise houses the distinct flora and fauna only endemic in the town. On its highest peak, one can have a view of Boracay from afar. Carabao isn’t an island of water buffaloes, but you’ll definitely see one when you visit the tranquil neighbor of Boracay. Known as Hambil for locals, Carabao Island is actually part of the municipality of San Jose, Romblon. It is just a 25-minute boat ride from Boracay and just 10 minutes if you take a speedboat. 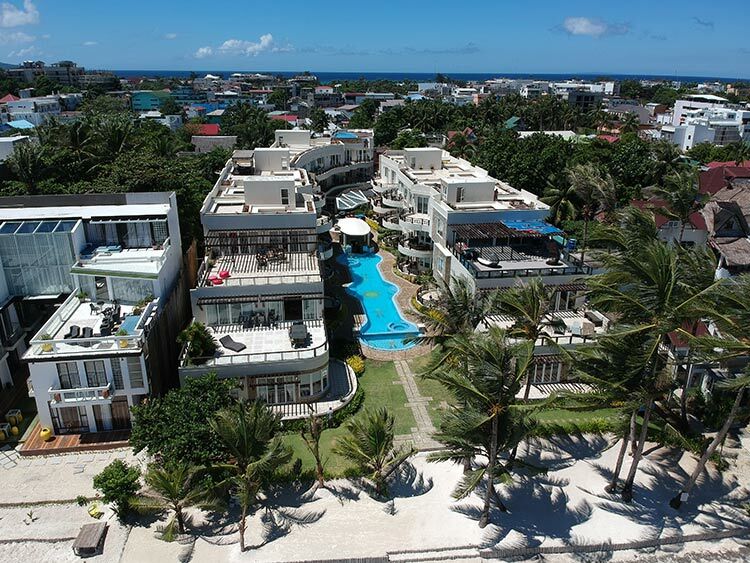 Carabao’s proximity to Boracay makes it an ideal destination for an island-hopping activity. You can even have a glimpse of it when you are at Puka Beach, located at the northernmost part of the island. For those looking for powdery white sand, Carabao also has it. 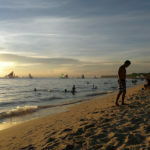 The island’s San Jose Beach is often compared to the White Beach of Boracay with white sand and azure waters but with a lesser crowd and a limited number of establishments. On the opposite side of San Jose Beach is Lanas Beach. 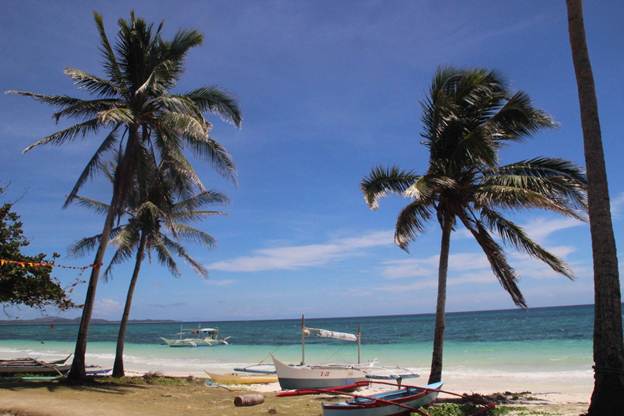 Lanas, which is facing Boracay, is the main tourist area of Carabao. Lanas Beach is meanwhile compared to Puka with pebbly white sand but with clear waters as well, perfect for swimming. This side of the island has numerous front beach resorts and restaurants. One thing you can try when in the island is also riding a motorbike. 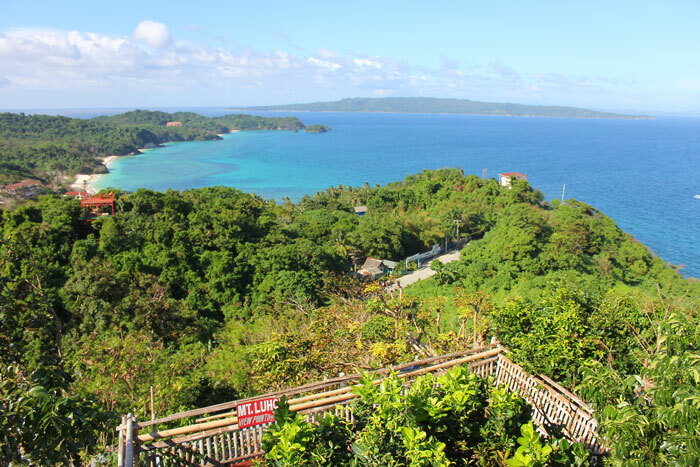 They have fascinating viewpoint where you can have a breathtaking view of the neighboring islands of Tablas, Romblon and Boracay. 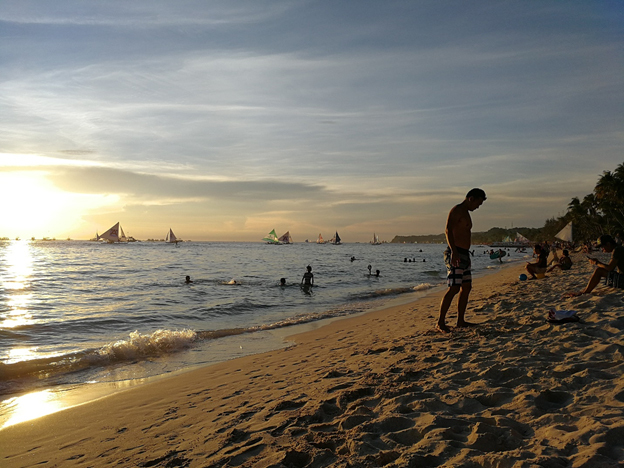 Its pristine beauty is always compared to what Boracay was like before it became a busy tourist destination. So experience its natural grandeur before people start flocking to this quiet paradise. When you set foot in Boracay, the wind turbines of Nabas Wind Farm is a sight you’ll instantly notice. The giant turbines are actually generating 32-megawatt of electricity. Currently, there are 18 turbines that are standing strong in Pawa village in Nabas and some portions of Malay. Aside from being a clean energy source, Nabas Wind Farm is gaining much attention from tourists. Yes, tourists are allowed to enter the site and have their photos taken with the big electric fan as their background. A little tour of how a wind farm is working is worth a try. 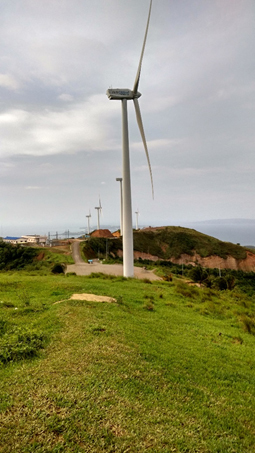 From Caticlan, you can reach the location of the wind farm in less than 30 minutes. A service vehicle is needed when visiting the place since public transport isn’t allowed to enter in the farm’s premises. 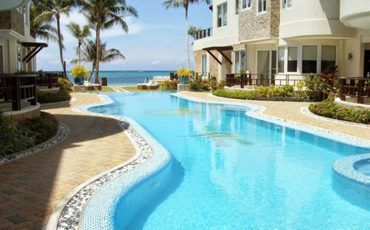 For Boracay alone, one or two days are not enough to explore enough what the island can offer. So it is always better to spend long days in the island. Of course, giving these nearby destinations a little bit of your time and money is a must. You can actually create your own itinerary to visit these places. But if you prefer a hassle-free travel, just approach your hotel and arrange a special tour to these nearby destinations. 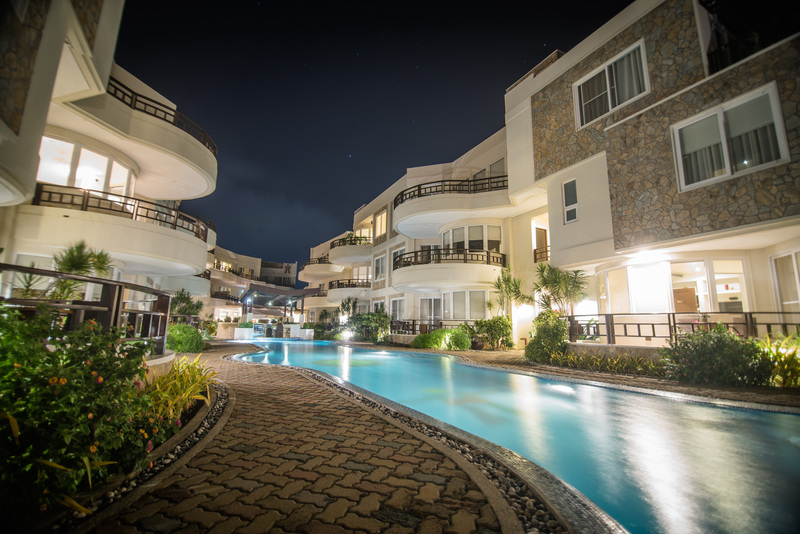 For its unique charm, many foreigners have found a home in Boracay. No wonder you’ll somehow find a foreigner who knows the island so much. 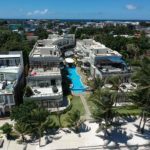 If you’re just on a quick vacation but still wants to feel how to live like a true Boracay local, here are some things you should consider. Leave your heels in the city but never forget to bring your flip flops. It’s a major no-no to wear heels especially if you plan to party at night. If you don’t wanna get stuck in the traffic on the highway, stroll along the beach to reach your destination. 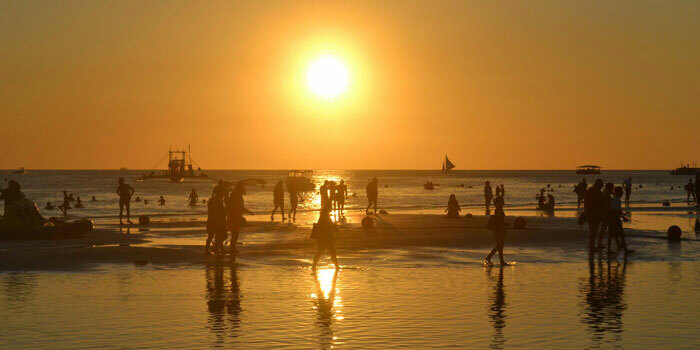 Catch the sunrise along Bulabog Beach in the morning and don’t miss the golden sunset at the White Beach. By walking, you also get to discover more interesting places and attractions in the island. If jeepney is the kind of the road in Manila streets, here, tricycles dominate the street. The moment you reach the port in the island, you’ll be greeted by tricycle drivers for a ride. 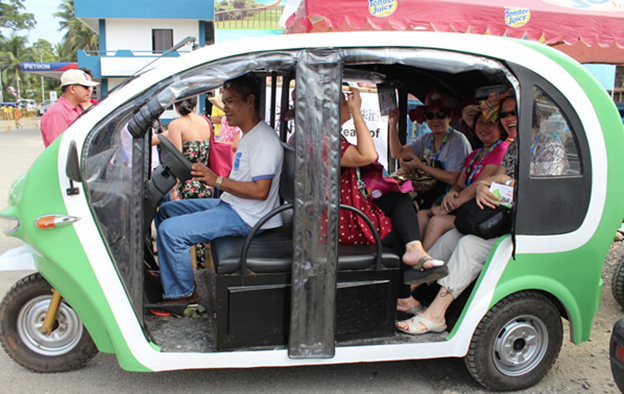 Aside from the diesel-powered trikes, the island probably also have the most number of electric-tricycles (e-trike) in the region. Regular fare within the main areas of the island is just PhP10. You can also charter rides for a minimum of PhP60. One good thing about the island’s tourism industry is that you get everything you need. While there are a number of bigger grocery stores in the island, experience buying some stuff in talipapa or small market. 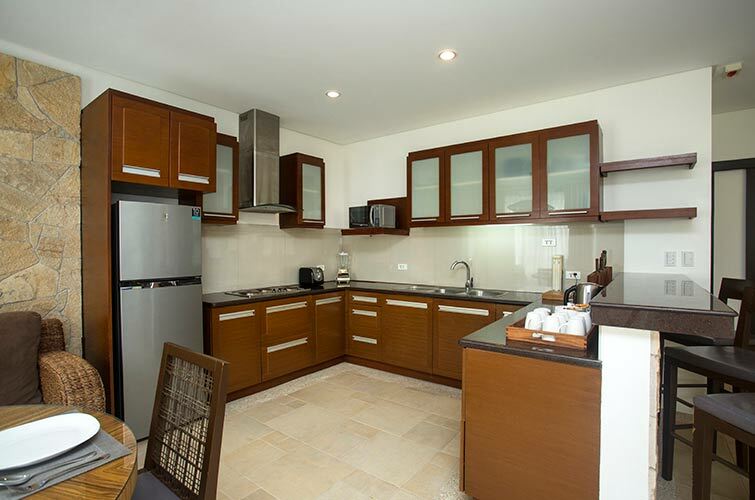 The most famous in the island and probably the most organized is D’Talipapa wherein Paluto services are offered. You can buy fruits, vegetables, and even souvenirs to take home. Yet the most famous among locals is the Talipapa Bukid. It is actually the main market of the island and most goods are cheaper here. Talipapa is just actually everywhere so you’ll definitely find one when you need to buy something. While there are numerous restaurants you can try on the island, eating where the locals eat is actually an experience you should consider. Some restaurants have withstood the test of time and development and have remained a go-to place for locals, and even becomes an attraction. Check places like Smoke Resto for their Bulalo, Kolai Mangyan which serves the famous Budbod, Tod’s for their hot soups and Jasper’s for their Pansit served on bilao or a food tray made of native product. You can try all these places without hurting your wallet. You’ll just have to prepare your tummy for a fest. Okay, another for food because Boracay locals surely love to eat. Forget about dieting. Don’t skip the rice. When your staple food is bread, rice is still best paired with most Filipino dishes. Choose the freshest catch at D’ Talipapa and have it cooked the way you want it. In less than an hour, you can then feast on seafood and all the savory dishes on the table. 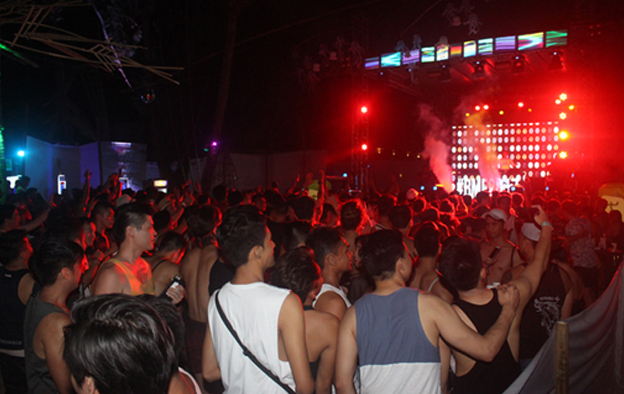 Well, booze and music must be part of Boracay’s culture. Thus, having a night-out should always be part of someone’s itinerary. Though booze is way cheaper in the Philippines, you’ll still get discounts during happy hour. Happy hour is not just actually an hour. Sometimes it could last for the whole night. Grab a local beer or a signature mix of the bar you’re visiting; then when the clock strikes at 12, release your inner diva and takeover the dance floor. After all, what happens in Boracay, stays in Boracay. Like locals, take environmental issues seriously. Be responsible with your trashes and follow the rules of the island. Remember that bringing home the white sands of Boracay is prohibited, smoking and littering on the beach is also not allowed. Just recently, the local government also banned the use of plastic in the island. So bring your own bag when shopping for your souvenirs. 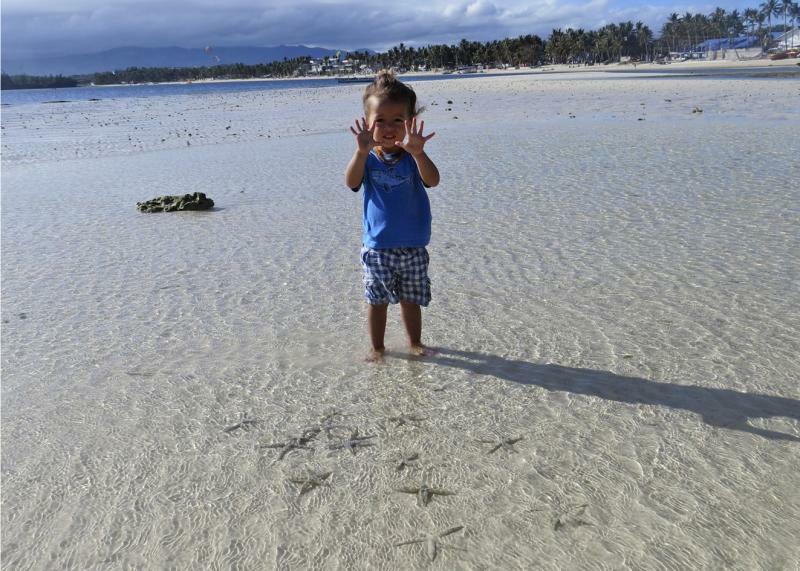 You don’t have to be born in Boracay to show your love. 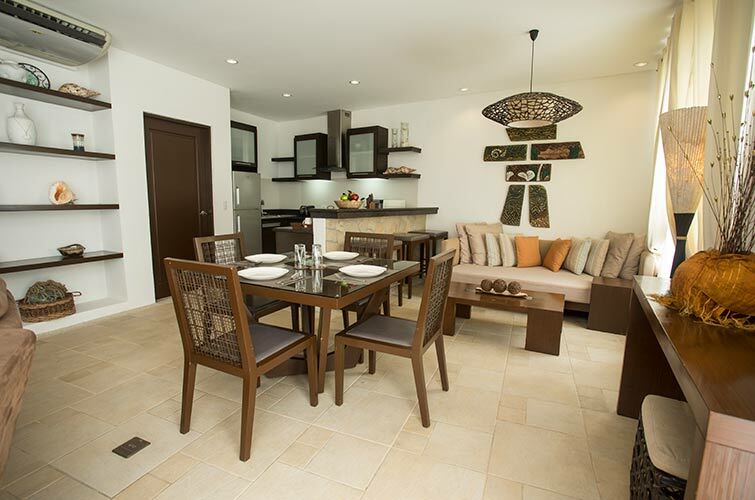 Like a local, treat Boracay as your own home even just for a few days. Appreciate its beauty. Indulge in its grandeur. Enjoy every moment of your stay. When our world is bombarded with so many negativities, travel is one grand escape we can make. Travel allows us to detach from the chaotic environment we live in and enable us to reconnect with ourselves. And while we all travel for a number of different reasons, there’s one common denominator to it – for us to feel good inside and out. Thus, travel and wellness is something that can easily be combined. This must be the reason why wellness travel is becoming the fastest growing travel trend nowadays. It is the kind of travel where physical, mental, and spiritual wellbeing of the traveler become the forefront of the trip. It is fueling the adventurous soul inside while not forgetting to nourish the body and the mind. Wellness travel started to grow and develop over a decade ago. One proof to it is the presence of spa and wellness centers in tourist destinations, and even in smaller communities. And just like the past years, travel wellness is still forecasted to grow in the coming years. 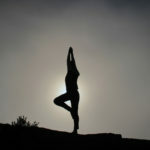 Travel wellness first revolved around stress-reducing spa, and on yoga and meditation. Its first wave first embarked on activities that promote stillness and tranquility; activities that allow travelers to be at peace with his or her being. Going to a spa and wellness centers while on vacation has also become a must for majority of travelers. Who would not want a good massage and some pampering after all? 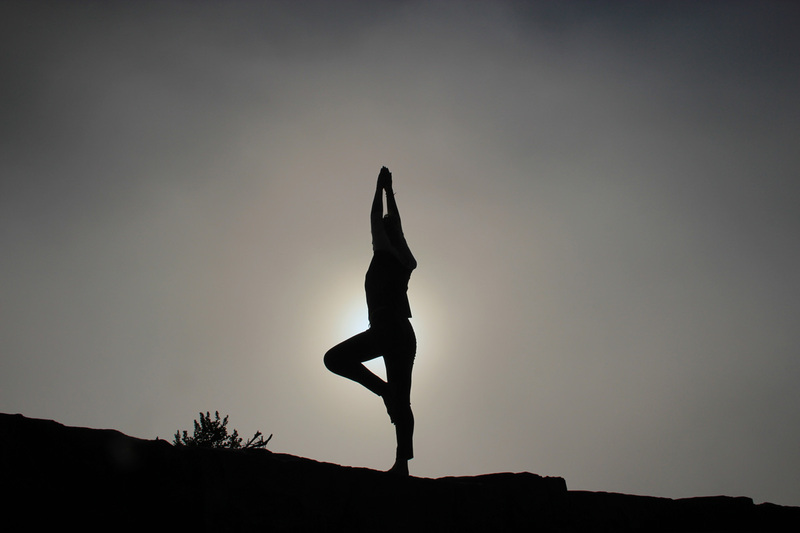 The growing importance of “wellness” in traveling thus underscored the need for wellness amenities, services and activities for tourism destinations, particularly in hotels and resorts. 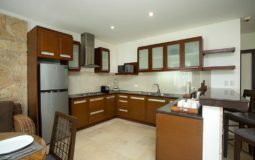 The kind of wellness amenities, social fitness services, and spaces specifically designed and designated for relaxation thus affects the traveler’s decision when choosing a destination. Aside from spa, wellness also includes healthy food options. Food promotes wellness. So eating healthy like organic produce and local cuisines is also the highlight on this kind of travel. Moreover, while this trend may not go away sooner or later, as spas and wellness centers continue to sprout, travel wellness is also likely to stay. As it further develops, new trends are also born along the way. Nowadays, wellness travel has evolved from being just a quiet retreat to trips paired with adrenaline–induced activities. More travelers choose trips that require more physical work. Among the fastest-growing trends in wellness travel now is surfing, or stand-up paddle boarding for the less confident in the water. A joyous surf workout or just a calming activity is an instant retreat for people that live far from the beach. Aside from this, wellness festival which combines the magic of music and nature is also starting to spread. But one thing that is consistent in the present and the future is that the beach will always be a perfect wellness destination. Because when you want to embark on a trip that focuses on your personal health and wellness, skipping the big and bustling city is a must. While there is no right or wrong place for your own wellness, but certain places, like a tropical island do tend to work better. And what better alternative you can think of than a beach? 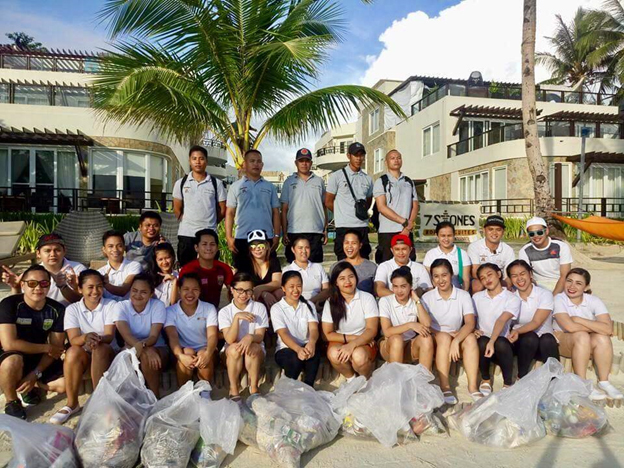 Well, with its reputation as a party place, many might think Boracay is not the place to be for some healthy-minded travel. 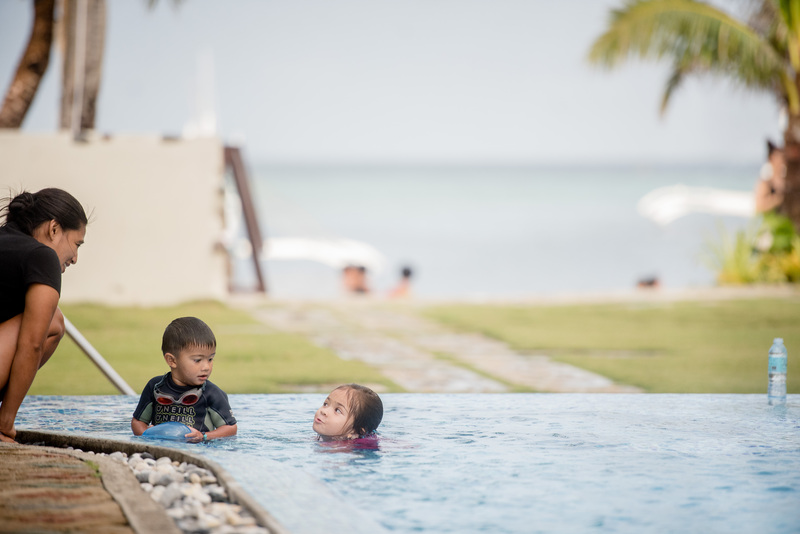 But it’s just a big misconception for this tropical paradise which remains to be a favorite wellness destination. In fact, the island is teeming with places where you can relax, enjoy nature, and experience at least some peace and quiet. Yes, you read it right. 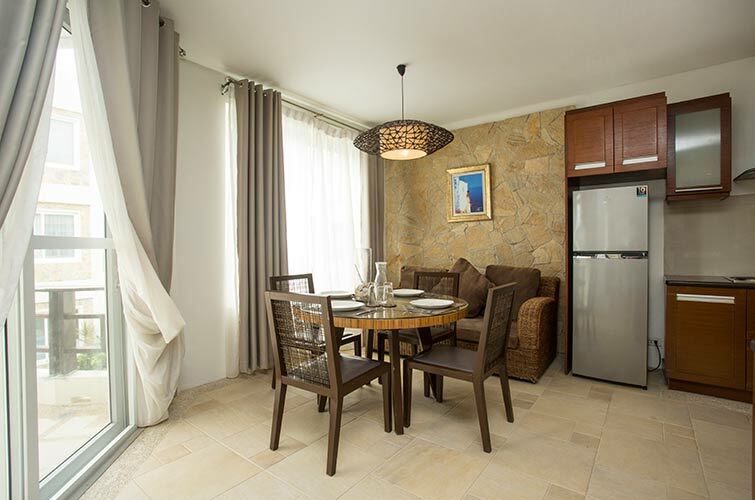 The island is a perfect balance for your active vacation and some rest and relaxation afterwards. Boracay is a spa haven; in fact, you can even have a massage at the beach. You can actually book a massage at your own room or at the in-house spa of your hotel. The island also has hundreds of restaurants with some specializing on healthy eating options. 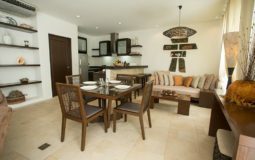 One of which is 7Stones Boracay Suites’ very own 7th Note Café which serves gulten-free food. With a number of beaches to choose from, you’ll never miss a chance to relax while lazing at the beach. 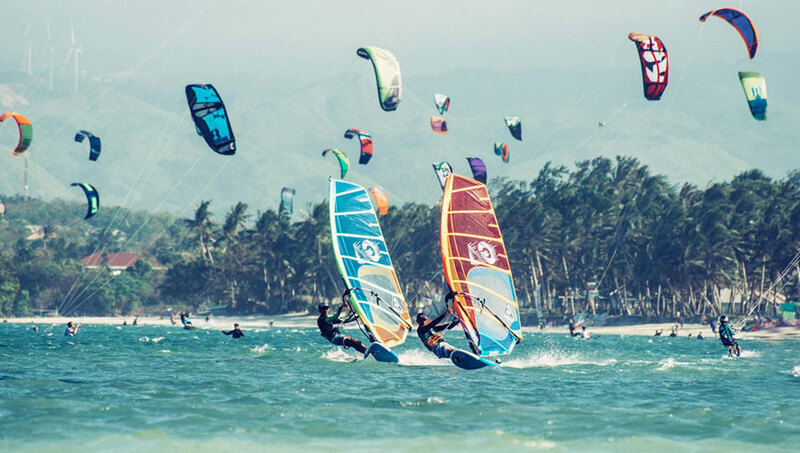 You can reduce your stress while lying on the powdery-white sand of the White Beach.Go kiteboarding or just watch the sporty ones at Bulabog Beach.Take a visit to Puka and Ilig-Iligan with both incomparable beaches and views as well. 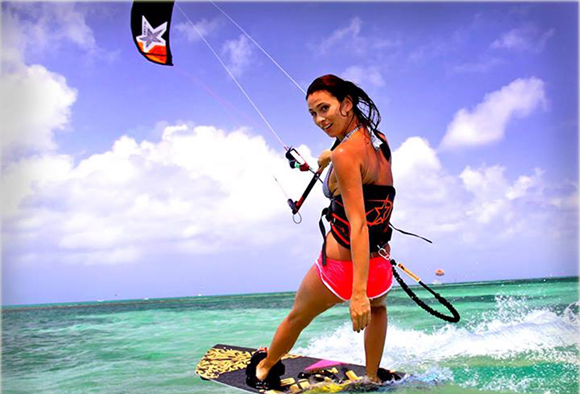 Trying any of water sports activities while on your Boracay vacation is also one definite way to de-stress. 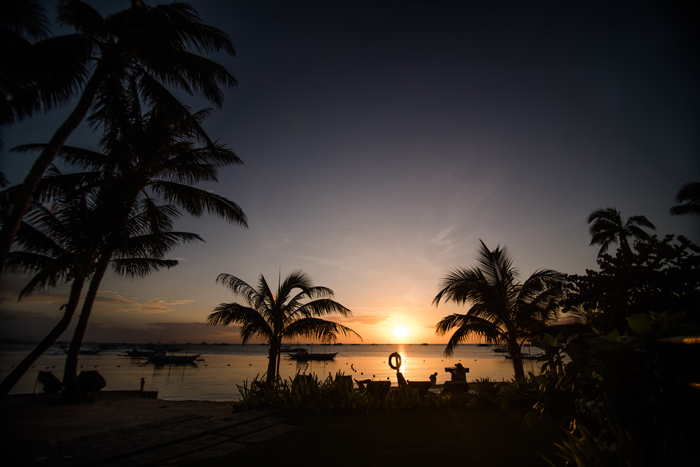 Go on an island-hopping activity, jump off a cliff, witness the sunset while on a paraw or ride a banana boat, there’s just too many reasons why Boracay Island is a wellness destination. And lastly, with its unique island vibe, meet locals and other travelers to share the joy of travel and the goodness it brings to your wellbeing. 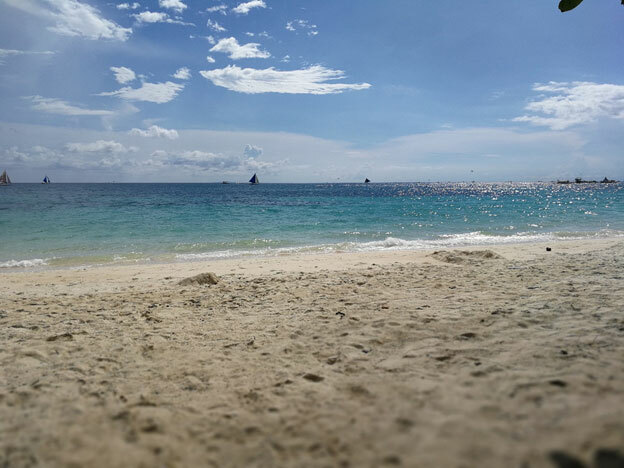 What most people don’t know about the island is you actually have two options on how you want to have your Boracay experience: you spend it in either Bulabog Beach, the eastern side of the island, or White Beach, which is in the west. 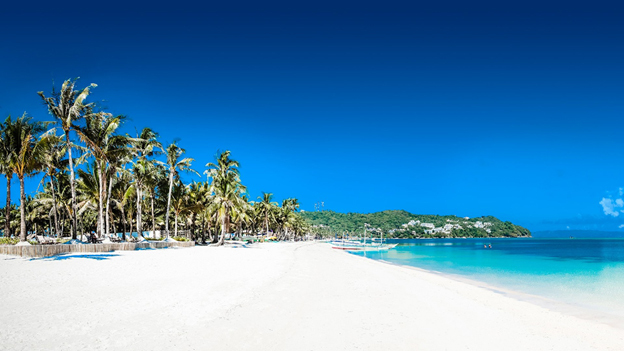 Both sides of the island boast different things, and we’re here to help you pick out the best choice to make your Boracay visit a memorable one. 1. Peace and quiet, or hours of noise and reverie? First off, what are you looking for during your stay? Some people would rather spend their beach trip just chilling along a quiet shoreline, letting the wind brush against their face and the surf take over every other sound they hear. Still others prefer to be in a crazy, chaotic, and stimulating beachfront filled with bars, restaurants, and tons of things to do at night – basically, a beach that doesn’t sleep. Bulabog Beach is where you’d want to go if you’re looking to escape to somewhere quiet and serene. 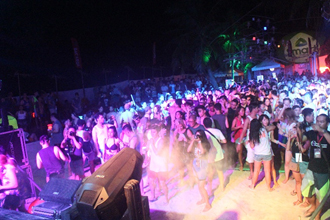 White Beach is where you’d be at if you’re looking to spend your Boracay time partying it up with throngs of other revelers, which is an experience in itself! 2. Which way is the wind blowing? 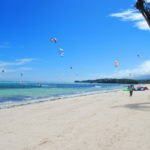 This is a useful tidbit for those looking to do watersports in Boracay (of which there are many.) Two winds blow on the island during the year. 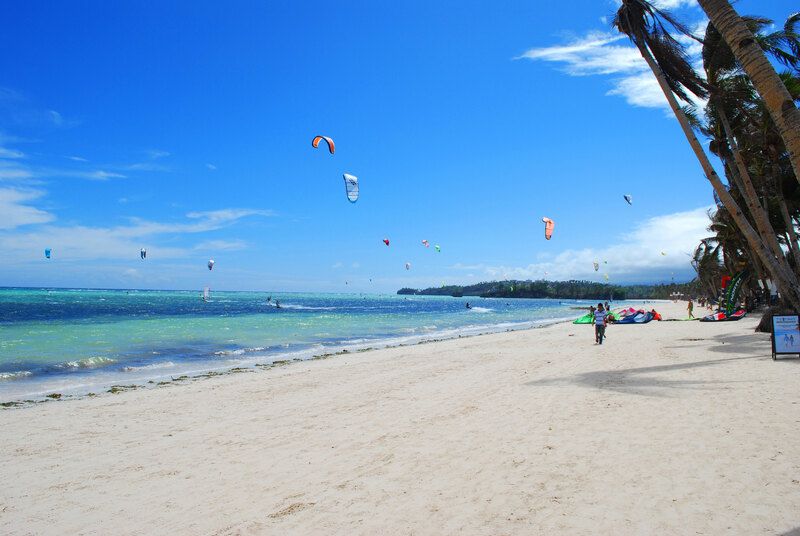 For the first half of the year, the Habagat (westerly winds) are dominant in White Beach, making it the best place to be in if you’re looking to do a little windsurfing or kitesurfing while you’re here. Come October though, the Amihan (easterly winds) brings its gentle but constant winds to Bulabog Beach, and all the watersports activities move there for that season. 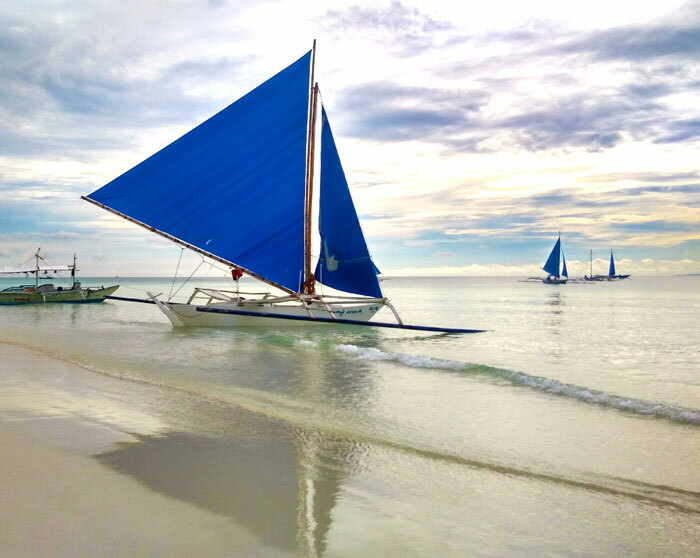 When you’re looking to do watersports in Boracay, the choice of beach really falls down to which way the wind is blowing at the time. Do your research before booking! 3. Going for a dip? What’s the point of going to the beach if you won’t get into the water? White Beach and Bulabog Beach are both home to some of the clearest azure waters in the world, and it’s no contest between the two in which one is more swimmable, except for one thing: the amount of people you’ll be sharing the water with. Sure, the sea is big and wide and has room for everyone, but it can be a bit overwhelming to have hundreds of people in the same patch of water with you at any given time. 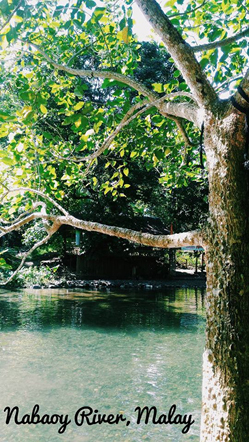 So if you’re looking for a little more privacy when you dip into the salty waters, think of Bulabog Beach. Otherwise, if you’re fine enough with having people all around you, go for White Beach! 4. Which one has more things to do? Bulabog Beach’s charm is in its seclusion, being a little more private than White Beach, affording those who visit it a semblance of peace in a beautiful tropical island. But White Beach is where Boracay truly comes alive, blowing everyone away with a host of awesome activities, vibrant people, excellent cuisine, and, best of all, cheap drinks. This is more of a matter of picking out what you want to do most: relax, or go all out and have fun. Whatever you choose, Boracay will be happy to provide what you need! 5. 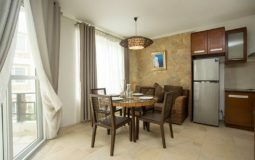 Where is the best accommodation? Now this is where things get interesting. Bulabog Beach and White Beach offer widely different options when it comes to beach resorts and hotels in Boracay. 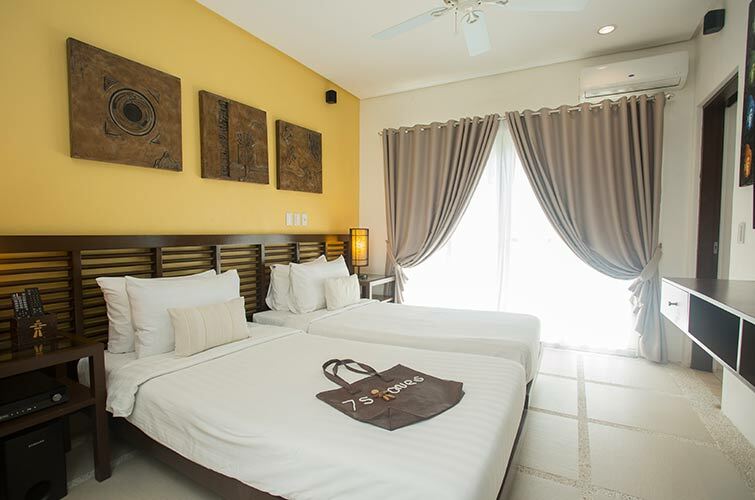 White Beach, being people’s go-to Boracay destination, is literally littered with accommodations that range from the lackluster to the overly-garish; there’s something for everyone. But here’s a glaring problem: it’s in White Beach, which is without doubt the noisiest part of the island. So if it’s 2am and you still can’t sleep because of the racket other late-night partiers are making, you’ll know you made a mistake somewhere. 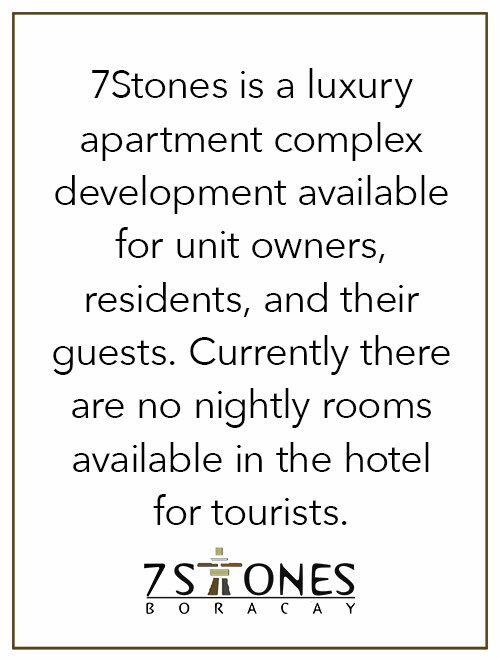 Which is where Bulabog Beach shines through, because it’s where 7Stones Boracay Suites is. It is arguably the most peaceful spot in all of the island, as it is tucked deep within Bulabog Beach, away from the hustle and bustle of the main thoroughfares and hotspots in the island, affording its guests the peace and serenity they deserve when they’re escaping in this tropical paradise. 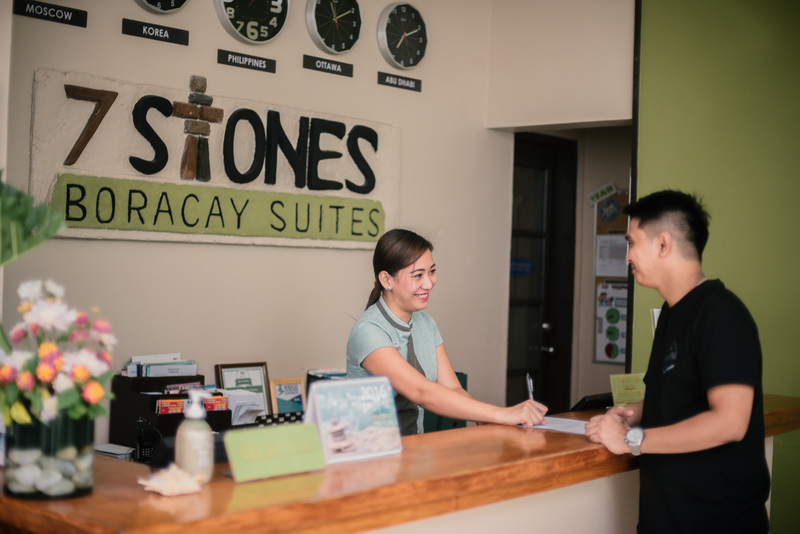 If you’re looking for the best accommodation that Boracay can offer, there’s no other choice to make than 7Stones Boracay Suites. 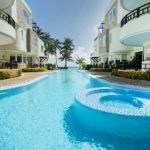 Despite all of these choices, 7Stones Boracay Suites offers shuttles that take you to and from these two beaches, so sometimes, it’s not a choice at all! 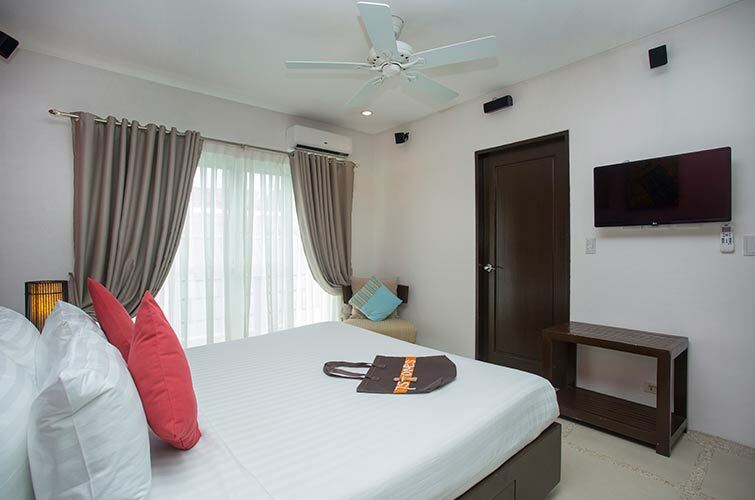 We’ll be happy to give you the best stay possible here at Boracay, so book your Boracay stay with us today!